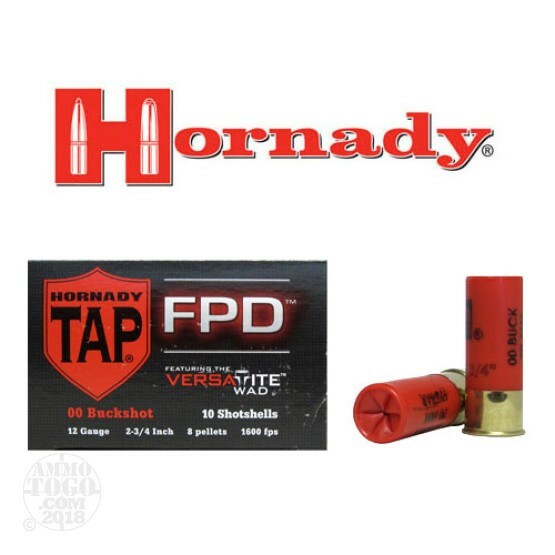 This is 12 Ga. Hornady TAP FPD 2 3/4" 8 Pellets 00 Buckshot Ammo. Hornady's buckshot is a top quality well designed load that delivers reliable functioning, consistent performance and the tightest patterns possible. 8 pellets of 00 Buckshot. Muzzle velocity: 1600fps. This ammo comes packed in a 10rd. box.